Building this new passage was no small task. Every winter the Jungle team work at pace to keep up with planting, clearing and in maintaining the largest outdoor Jungle in the U.K. To add to the challenge, soft soils and a steep terrain make the Jungle no place for machines, work is done with wheelbarrow and spade alone. 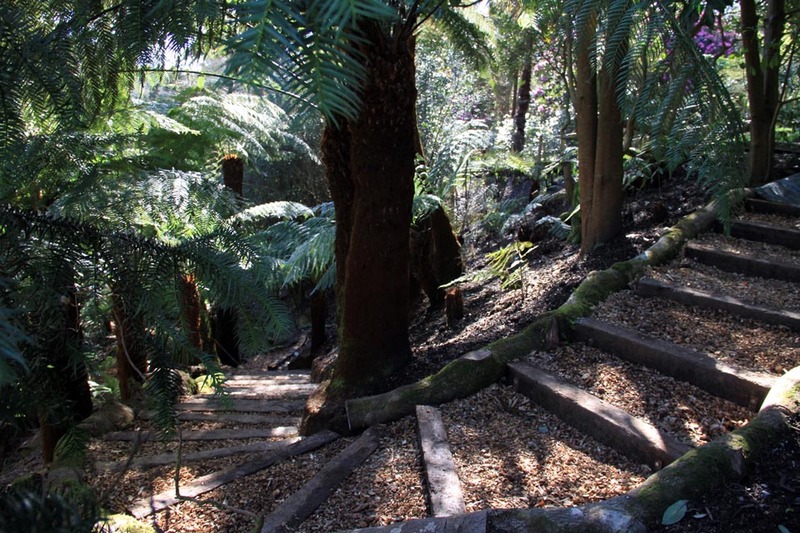 Once planned the team had the herculean undertaking of moving 30 recycled railway sleepers, 200 wheelbarrows of wood chipping, 12 tonne of compost, 12 tonne of stone base and 12 new tree ferns down to the valley floor. These ‘minor hinderances’ did not deter our experienced Jungle team as they look to finish this enchanting new path by the 1st of May. Right from the start they realised this is no new walkway, but a footpath once lost and now found. Small granite blocks decorate the base of each tree fern and rustic slate stepping stones stood firm where the stream was too wide to step. It is now obvious that this historic jungle route was once well walked by the original custodians of the estate, the Tremayne family, and was likely a jewel in their Jungle crown. 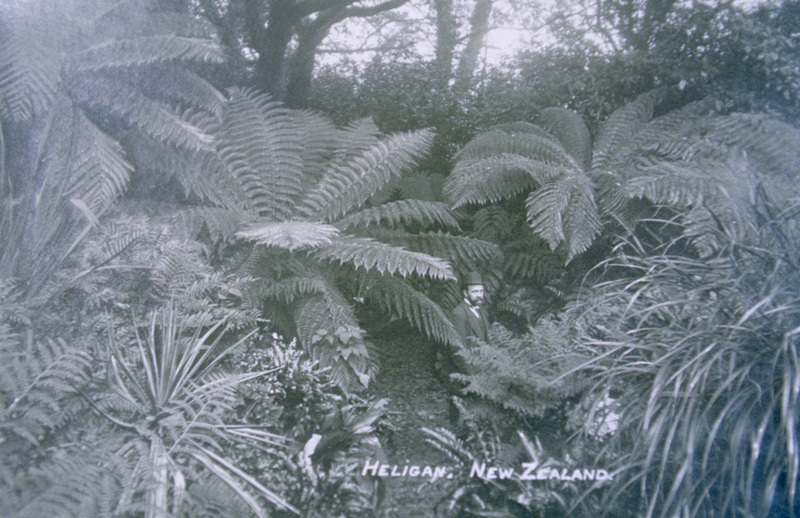 “This makes a lot of sense if you think about it, these tree ferns were a big deal and the Heligan estate was one of the first places in England to get them back in the 1890s, so it's unlikely they would have been hidden away from sight. The journey of these trees is truly remarkable! The trees were transported all the way from Australia to Falmouth dock where they were transported onto a train to Truro. The next bit is amazing! Once arriving at Truro, the train stopped precariously on a viaduct over 100ft high, here the tree ferns were lowered on ropes off the side of the train and down to Treseders Nursery below. I don’t suppose they had cars back then either so the trees would be collected by horse and cart for relocation to their new home at Heligan” – Candy Smit, Heligan archivist. When travelling down this historic passage made new, you’ll see bright white arum lilies alongside primeval Woodwardia Ferns and bursts of brightly coloured Candelabra primula nestled among deep green Kangaroo Ferns. High up on the sun-bathed valley slopes, Geranium maderense will make themselves known with their bright purple eye-catching blooms so reminiscent of long summer days. Also new is the crystal pool, named after the large pieces of quartz that line its edges and the clarity of the water as it moves through. Within the pool bright orange fish dart in hope of not being seen, and our resident kingfisher has already been observed perched expectantly above. All that the team has achieved over a single winter is remarkable, from the discovery through to the restoration. There is a huge sense of accomplishment in the experience they have created. Bringing back this historic walkway for generations to enjoy in the future is what Heligan strives to do in all we do, and we are proud to keep doing so moving forward. From the 1st of May, this route that was originally created over 100 years ago, will be open for everyone to walk and enjoy once more.